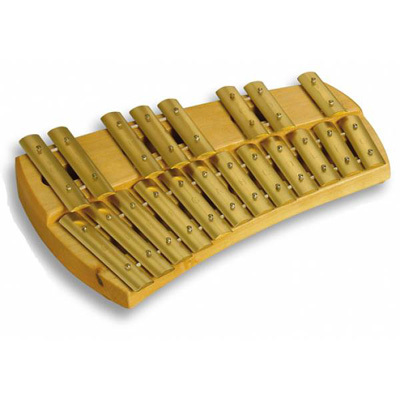 Auris uses high quality precision tuned brass bars in the manufacture of their glockenspiels, which have a lovely bell-like sound. The wooden base is curved and made out of maple. The brass bars are placed on rubber to create a long lasting tune. 3 different mallets, soft, medium and hard, are included. Tuning: Chromatic C, C3 to G4. Size: 32 x 21 x 4 cm.